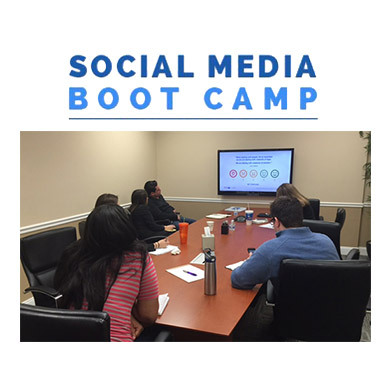 Social Media Boot Camp is a unique, interactive class that promotes understanding through demonstration. Attendees are trained and empowered with the knowledge to use social media to engage their clients so that they may create and develop a plan that will work best to drive and promote business and impact sales. For a more personal approach, you may request OMA Comp to conduct the class at your location. We will provide a fun, interactive, educational class with your staff on best practices and techniques on how to develop a strategy to kick start and increase your sales through social media. Personality, emotion, seduction, instinct, transfixes and lures the human mind. We crave constant stimulation, awe and captivation. Learn how to use the psychology of social media to make your marketing smarter, kick up your connections and increase your business. Company branding is effective in differentiating and establishing your business and its core values and strengths. Learn how to align your branding throughout your business including within your company, in social media and during client contact. The importance of a strong, consistent message develops trust, secures expectations and increases satisfaction. Branding is more than just a company logo, mission and vision statement, it is how a business expresses and demonstrates itself to move its customers, employees and organization forward. Thank you so much Oma Comp for the social media boot camp class! It was an amazing, very worthwhile learning experience for us all.